Ever wanted to run away and join the circus? 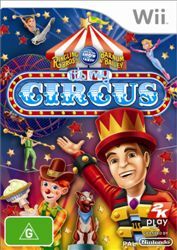 Well then, you’ve come to the right place with It’s My Circus, the latest Wii game which transforms gamers into a fully fledged circus performer. 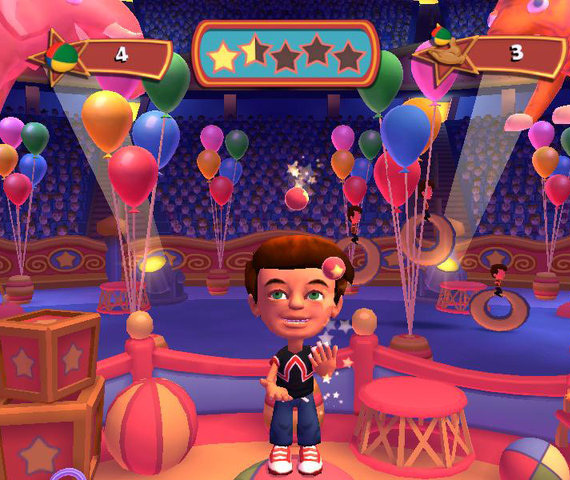 Using the innovative controls of the Wii, It’s My Circus allows the player to get involved in over 40 mini-games (think Wii Sports) as they perform a variety of circus tricks and activities. The circus has truly arrived with the good and with the bad! That's right as with most mini-game titles for the Wii, some games work and some don't but thankfully the developers have attempted to create some interesting and fun games. Although It’s My Circus features multiplayer with 12 games from the solo mode available, ironically the single-player mode is actually better as players attempt to climb their way through the circus ranks in order to become the best performer possible. Of course, if you’re an adult, the simplistic nature of the games and graphics may turn you off the title, however for younger gamers, this is a very entertaining and well made production. The menu system of It’s My Circus is quite easy to follow and before starting on your career in the circus, you need to create your character, albeit a simplistic one! Once you have created your character, you can then start the single-player game or engage in some fun multiplayer antics. Although in essence, it’s a collection of mini-games, as you progress and beat the games, you are awarded money which can then be used to purchase additional items and clothes which acts a reward system or trophy system. 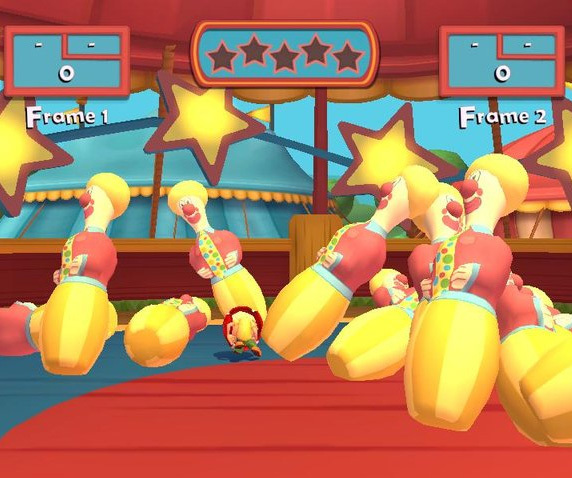 The control system of It’s My Circus uses both the wireless controls of the Wii, however it even supports the popular Wii balance board which adds some interesting balance gameplay modes. With the games, sometimes the controllers work and sometimes they don't but for the majority, the controls are quite sturdy, whether riding a bike as a clown, playing bowling or throwing pies at clown, it definitely gives players something else than just Wii Sports or Wii Resort. 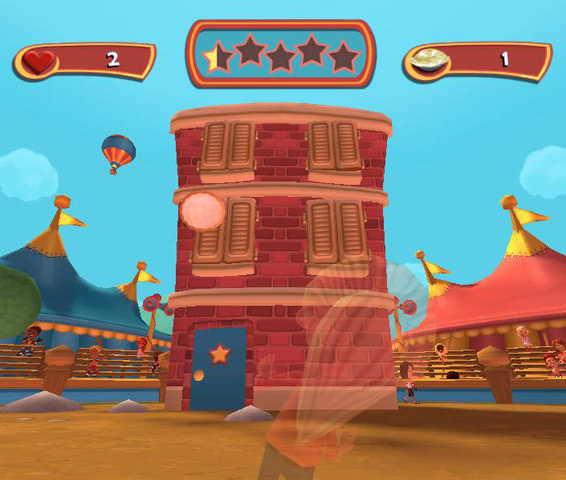 Visually, It’s My Circus is a very colourful game that features cartoon inspired graphics and environments that look like they have been directly taken from a circus itself. The characters are animated well and are quite jovial but best of all, it interacts well with the gameplay which is the star of this game. Add in some colourful and over the top sound effects and music and you have everything you need (provided you're a younger gamer) to get lost in this interactive world. 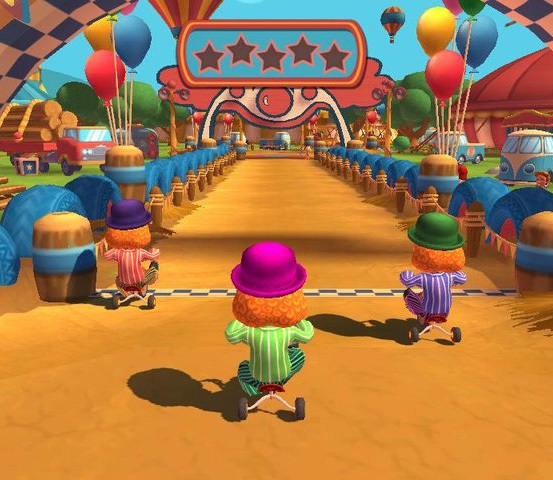 At the end of the day, the gameplay is oozing with circus references which is kind of fun as you use your Wii controls to command lions or try your hands at juggling. And even though the game is aimed at younger gamers, it actually works and the developers have not just tried to cash in on another Wii "mini-game" title. Colourful graphics, fun audio which proves that third party developers can make something decent if they try. Over 100 unlockable prizes and wearables including trophies, super strengths, costumes and more!